The phrase “brother against brother” is often associated with the Civil War. The Crittenden family of Kentucky knew its meaning firsthand. 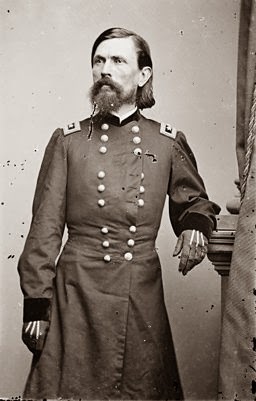 Brothers George Bibb Crittenden and Thomas Leonidas Crittenden fought on opposite sides of the conflict, and both rose to the rank of major general, Thomas for the North, George for the South. As a Confederate officer, he rose to the rank of major general in less than a year and commanded the District of East Tennessee. However, he was later transferred away from the front lines and then court-martialed because of a drinking problem. George resigned from the army, but later returned to it and fought the last part of the Civil War as an enlisted soldier. Thomas, his younger brother, also had some rough spots in his military career. He had been a lawyer, and served as an aide to General Zachary Taylor during the Mexican War. Afterward, he served as U.S. consul in England. He stuck with the U.S. Army during the Civil War. In 1860 he was made a brigadier general of volunteers and commanded a division of the Army of Ohio. After serving with distinction at Shiloh, he was promoted to major general of volunteers. 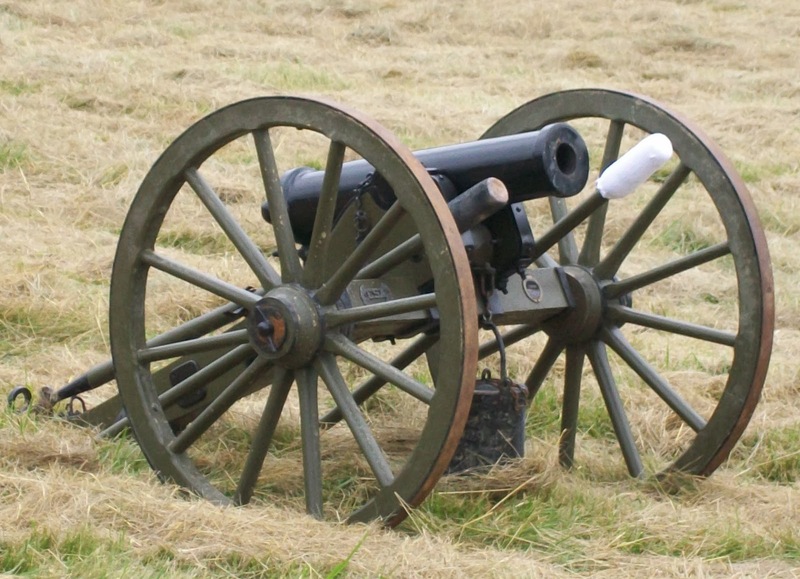 He served well at the Battle of Stones River and the Battle of Murfreesboro. Though he was a skilled military officer, Thomas L. Crittenden suffered from having a less gifted general above him. Crittenden and Alexander McDowell were blamed by Union General William Rosencrans for the costly loss at Chickamauga and were relieved of their commands. Rosencrans’s later record told the truth about who was inept. Crittenden and McDowell were exonerated, and the blame for the fiasco at Chickamauga was transferred to Rosencrans, who was relieved from command. Thomas Crittenden regained the respect of his peers and was back in the thick of things, now serving in the Army of the Potomac at Spotsylvania and Cold Harbor. Kentucky was a border state, and while families in every state were divided, Kentucky was perhaps one of the worst, so far as torn loyalties went. Another family deeply affected was the Breckenridge family. Robert Breckenridge had two sons fighting for the North and two for the South. Kentucky statesman Henry Clay had three grandsons fighting for the Union and four for the Confederacy. At the beginning of the Civil War, the governor declared Kentucky a neutral state, but shortly afterward, dissenters formed a Confederate government and went ahead with secession. For much of the war, the Confederate state was occupied by Union troops, which made things difficult for families who were loyal to the South. About 100,000 men from Kentucky served in the Union Army, including almost 24,000 African Americans. The estimated number of Kentucky men who fought for the Confederate Army ranges from 25,000 to 40,000. The psychological toll on families divided in their loyalties can only be imagined. 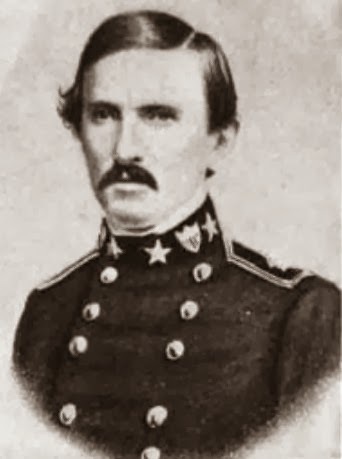 One more example of a divided Kentucky family: in mid-1862, General Benjamin Helm took command of the First Kentucky Brigade. He died of his wounds received at the Battle of Chickamauga in 1863. President Abraham Lincoln was born in Kentucky. Confederate General Helm was President Lincoln’s brother-in-law. I’m now researching some aspects of the Civil War for an upcoming book. My Wyoming Brides novels take place just before and during in this period. 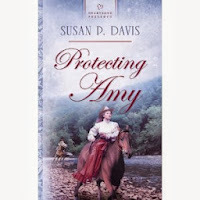 Today’s giveaway is a copy of Protecting Amy, my first-ever published book, in either paperback or digital form. The winner will be chosen by random draw on Saturday (Oct. 26). To enter, comment here. I went to Chickamauga when I was in the states, my friend lives nearby and often walks there. The battle field is amazing and I learnt so much about the battle from chatting to the volunteer there. We also saw a small film about the battle and how it took place. A little graphic at times but it really gave a feel for the battle. We saw a lot of the battle field. They talked about one of the generals from the north who had family in the south and how even when the war was over and his family needed help would not accept his money. Have to say I am fascinated by the civil war. Loved seeing Gettysburg also. Jenny, how wonderful! I haven't seen Chickamauga yet, but maybe soon. I love getting a firsthand look at historical sites. I love reading about the Civil War. Would love to read your book! Thanks for the informative post. You're welcome, Sally, and thanks for coming by! Susan, The review of how divided families were affected during the Civil War was very insightful and touching. I can't imagine the heartache and suffering so many suffered . There were heroic leader's and soldier's on both sides and this is a part of our history we should never forget. The war touched my late husband's side of our family as his grandfather enlisted at age 17 in 1861 where he served as a member of G.A.R. and Co B 75th regiment Ohio infantry . He was wounded at Gettysburg July 2 1863. He did survive but suffered until his death in 1915. All his family supported the Union so there was no family split. I look forward to reading your book I have been a long time follower of your novels. Thank you. Thank you, Jackie! I have thought a lot about how those men suffered from their wounds for years and years. Even those who survived probably never healed up to be "good as new." In the book I'm working on, a man who was wounded in the war is plagued by his old injury long after he's home from battle. We can thank God for the amazing advances we have seen in medicine in our lifetimes. After seeing Gettysburg and hearing the stories etc I can understand him never fully recovering. That was a horrific battle. So many dead and so many left wounded who died from the wounds. Its actually chilling hearing some of the info and then seeing where the southerns made there first charge the rocks they climbed over were sharp as razors and then seeing the famous Charge of Pickets brigade in the 360 picture at the top of the building its like being there and knowing the story I had tears pouring down my eyes watching it. The picture doesn't change but they have done it so well and tell the story highlighting the different areas and its so moving. I still tear up thinking about it. Hi Susan, I grew up in Ky but never knew of these brothers, I think I will do some researching on them too. I love your post today -so interesting. I wonder why they chose to go seperate ways in the war with one for North and one for South? thanks for sharing today. Paula, I first heard about them a couple of years ago. My sister and I were in Louisville, and we stayed in a hotel on Crittenden Road. It seemed like an odd name to me. Then I saw an article a historian had written about "the good Crittenden brother." Ha! Well, that hooked me, and the family has fascinated me ever since. There was another pair of brothers who served as generals on either side, William and James Terrill. They were both killed in the war--but they were from Virginia, not Kentucky. My great-grandfather and his four brothers from Louisiana chose to fight for the confederacy. Researching for my novel about them led to some fascinating discoveries about different battles that were not as well known as others. All but the youngest served as prisoners of war. The second oldest brother came back from the war with hair white as snow and died in his early thirties. Story has it that he never recovered from the things he'd seen and done as a soldier. Thanks for the great post with even more interesting information. Martha, what a legacy in your family! They didn't call it PTSD back then, but I'm sure it was rampant in the years after the Civil War. Susan, I enjoyed your post. To me , in the Civil War so many people lost so much on both sides. It was sad when it divided the family or a family lost everything they had. Thank you for sharing this post with us and giving the chance of this giveaway. Please enter my name. I agree, Barbara, and I think that's part of what draws us to stories from this period. They can't help but touch your heart. So interesting to learn of the Crittenden brothers and others, Susan. How hard it would have been when family loyalties were divided!! Such a devasting time! Thank you for sharing this post and giveaway! I think that we have no real idea of the stress people endured at that time. Thanks, Sharon. It's amazing what you find if you look for the stories behind the names of roads and other landmarks. Susan, such an interesting post! Such hard times back then. Thank you for sharing and the giveaway! Thanks, Melanie! I'm finding so many fascinating tales here in Kentucky, and I know I've only scratched the surface. How devastating to the families who are dealing with the split loyalties. I don't envy them at all. How does a mother's heart react when she knows she may lose one or more of her children to death, or maybe she will 'just' get her children back in a change emotional state? How does the family move on from this schism? A holiday meal together would seem so controversial. This is a big price for any family to pay. So true! And we think we have it hard. And the winner of Protecting Amy is Paula O! Thank you to all who took part in the discussion. Thanks for the shout out on my win...happy to be able to read this one..